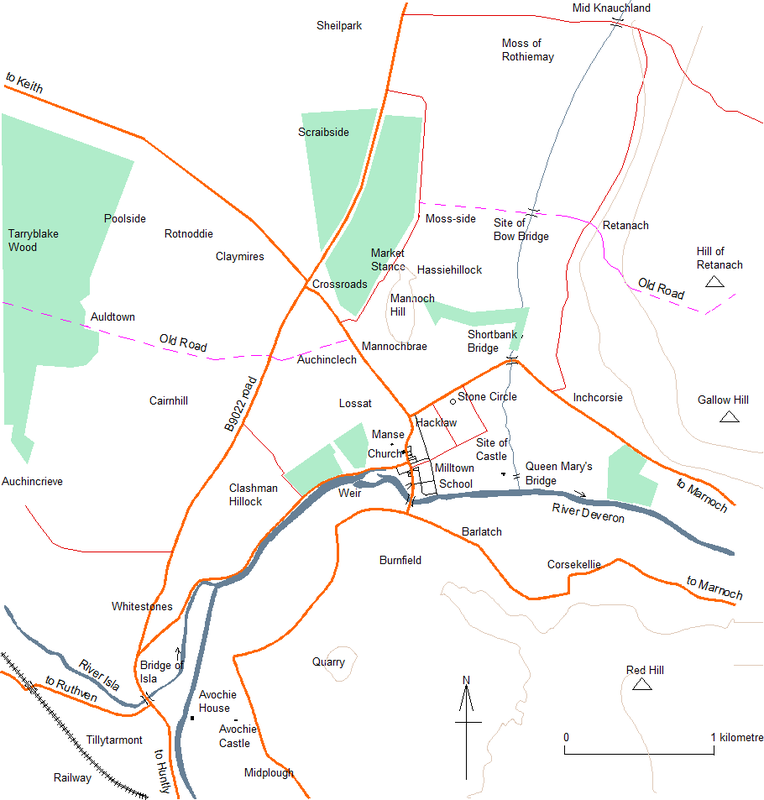 The district of Rothiemay and its main settlement, the small granite-built village of Milltown, occupy a historically strategic site on the River Deveron in North East Scotland. Set at the neck of a deep valley between hills where the river is confined in its outlet from the wide strath where it joins with its tributary the River Isla, the area has a mixture upland and lowland scenery. There is evidence that Rothiemay has long been considered a desirable place to live - even from prehistoric times, and signs of human activity can be found locally from almost every subsequent era of British history. It hasn't always been a backwater - the successive waves of immigration and cultural influences, and numerous political, social and religious revolutions and devastating wars through which the country has passed, have left ripples, and traces of these events can still be found in the buildings and landscape. This site aims to look at what makes Rothiemay the place it is today - its history, landscape, natural environment, buildings and people, past and present.